In 1463 the brotherhood of Tanners commissioned to Jaume Huguet  the altarpiece of the high altar of the church of Sant Agustí Vell of Barcelona. The extraordinary dimensions of the panels, one of the biggest of Catalan Gothic painting, and the period of crisis that the country was undergoing, delayed the completion of the altarpiece until 1486 and led to the intervention of various members of Huguet’s workshop. Eight panels from this altarpiece are preserved, seven at the Museu Nacional d’Art de Catalunya and another at the Museu Marès . 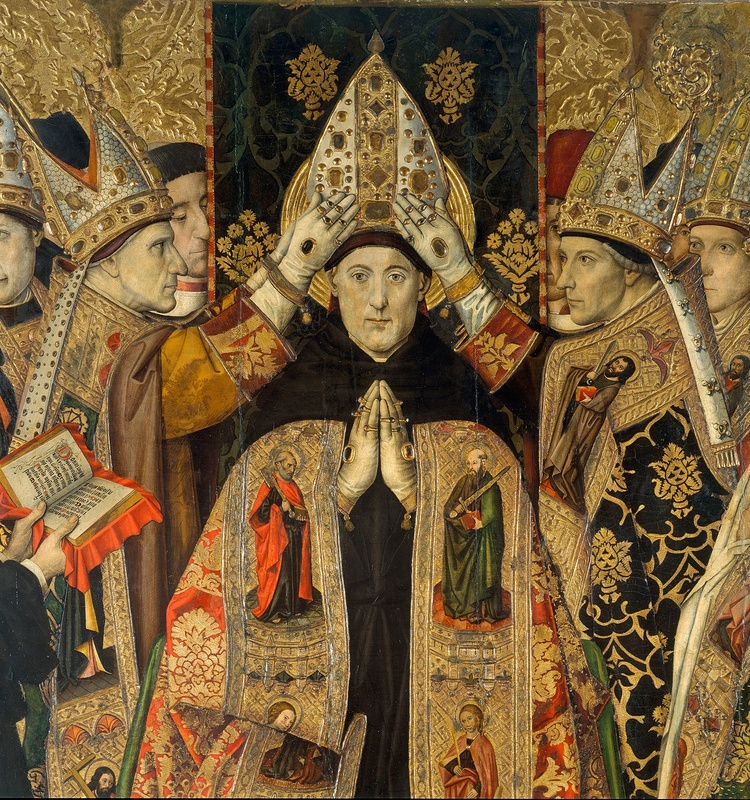 The quality of the composition and the pictorial technique of the Consecration of Saint Augustine suggest it can be considered the personal work of the great master.